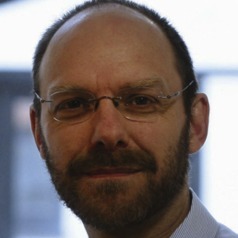 Stephen Roper joined WBS in the Enterprise and Innovation Group in January 2008. He is Director of the Enterprise Research Centre, an independent research centre which conducts policy relevant research on SME growth and development. The ERC is a partnership between Warwick Business School, Aston Business School, Birmingham, Imperial College Business School, Strathclyde Business School and Birmingham University Business School. Funding is being provided by the Economic and Social Research Council, the UK government Department for Business, Innovation and Skills, the British Bankers Association and the Technology Strategy Board. Prior to joining WBS, Stephen was Professor of Business Innovation at Aston Business School and before that he was Assistant Director of the Northern Ireland Economic Research Centre, Belfast. Stephen holds a BA Hons in Economics from the University of Durham, an MPil in Economics from Oxford University and a PhD in Economics from LSE. Stephen’s main research interests are in innovation, enterprise growth and development, regional development, and industrial policy evaluation. Previous projects have been supported by the Economic and Social Research Council, the EU, the British Academy, and the Royal Irish Academy as well as a number of government departments in the UK, Ireland, US and Israel. Stephen has consulted on aspects of innovation and enterprise policy for a wide range of organizations including the OECD, the DTI, the Department for Business, Enterprise & Regulatory Reform, the UK government’s Small Business Service, East Midlands Development Agency, Advantage West Midlands, the Scottish Executive, Invest Northern Ireland, Forfas (Dublin), Enterprise Ireland, Northern Bank, InterTradeIreland, the Department of Enterprise Trade and Investment (Belfast), and the Department of Education and Learning (Belfast).